UPDATED: Another top leader at Norwegian telecoms firm Telenor is quitting and the future of Jon Fredrik Baksaas as Telenor’s chief executive seemed far from secure after a week of more drama around the state-controlled company. As political intrigue over Telenor and its ill-fated venture into India reached the highest government levels, a business researcher noted how Norwegian firms in general have a poor record of overseas investment. 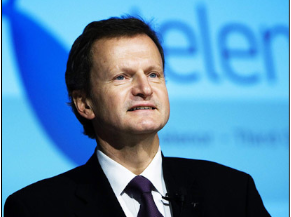 Baksaas was back in India himself this week, once again addressing heavy losses on Telenor’s mobile phone operations in the country, when news broke that Norway’s government minister in charge of business and trade had fired Baksaas’ boss, Telenor Chairman Harald Norvik. 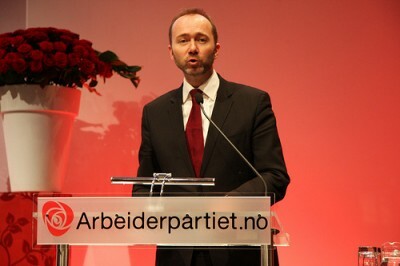 That firing was widely attributed to Norvik’s complaints over what he viewed as Trade Minister Trond Giske’s meddling in an entirely different issue – last winter’s sale of Telenor’s indirect stake in nationwide television channel TV2, which Giske opposed – but the Indian losses are believed to have played a role also. Giske keeps repeating that his reason for “losing confidence” in Norvik was based an “overall evaluation,” although most analysts and commentators link it to Giske’s anger over Norvik’s refusal to block the TV2 sale. On Friday, newspaper Dagens Næringsliv (DN) reported that Prime Minister Jens Stoltenberg had given Giske full support in his decision to fire Norvik. Stoltenberg and Giske both hail from the Labour Party but from different factions within the party, and relations between the two have never been viewed as particularly warm. Norvik, meanwhile, also has long-time ties to Labour, which is what helped him land the chairmanship of Telenor when Labour held government power and his earlier job as CEO of Statoil. The state owns 54 percent of Telenor, so the government’s minister for business and trade (in this case, Giske) is viewed as its majority shareholder representative. Stoltenberg had remained relatively quiet when the highly public power struggle between Giske and Norvik erupted in January. Now, however, DN reports that Stoltenberg didn’t like Norvik’s response to how Giske was trying to influence the board and management who are supposed to be charge of running Telenor. Giske, with Stoltenberg behind him, won in the end. The political opposition to Norvik and the effect it may have on Telenor’s business led the head of Telenor’s corporate assembly and board election committee to quit in protest later on Friday. Jan Erik Korssjøen is also a personal friend of Norvik, and made it clear he didn’t like the way Norvik had been handled by Giske. Baksaas, meanwhile, had appeared at Norvik’s side last winter and made it clear he didn’t appreciate Giske’s power plays either. While Norvik often was viewed as an important counterbalance to Baksaas, both Telenor’s management and board appeared united on the decision to resist Giske’s meddling and go ahead with the TV2 sale. Telenor’s board election committee refused to dump Norvik, leaving Giske to get rid of Norvik himself. Now Giske will put forward a new board chairman for Telenor, and questions are flying over whether Baksaas will be replaced as well. Giske remains under strong criticism from opposition politicians in Parliament and business leaders, who claim he overstepped his bounds. They also point out that his firing of Telenor’s chairman, and the uncertainty that creates for Baksaas, comes at the worst possible time for Telenor as it wrestles with its troubles in India. A representative for Telenor’s thousands of employees said they’re far more concerned about what will happen in India than with the sale of TV2. On Saturday, the head of the Oslo Stock Exchange (OSE) also harshly criticized Giske. Bente Landsnes told DN that Giske had ignored the rules that normally keep the state from interfering in the business of running the companies in which the state owns stakes. “They (Giske and, in this case, Stoltenberg) say they shall use the elected bodies and follow good corporate governance,” OSE chief Landsnes told DN. “That means they should give signals to the board, and then it’s up to the board to make a decision.” She firmly believes Giske ignored that tenet, and that the political leadership has thus let Telenor down in this case. Giske has defended himself by saying the government needed to act in the case of Telenor, to protect the state’s interests after losing its stake in TV2 and after heavy losses in India. Giske also points out that the parliament’s disciplinary committee dropped its own complaints against Giske earlier this year and that his work was backed by a majority in parliament. Since the government parties have a majority in parliament, however, that’s not so unusual. Meanwhile, a professor at Norway’s management school NHH in Bergen called the losses in India “historic,” while a researcher at business school BI in Oslo, Sverre August Christensen, told newspaper Dagsavisen that Norwegian companies generally have a poor track record of foreign investments. Large overseas acquisitions have often gone awry, like Kværner’s purchase of Trafalgar House in the UK, Saga Petroleum’s purchase of Santa Fe in Kuwait, Storebrand’s attempt to buy Skandia in 1991. Norske Skog’s overseas expansion also proved costly. Some of Telenor’s foreign acquisitions have succeeded, while others have been a nightmare. The looming risk that Telenor ultimately will lose as much as NOK 20 billion on its venture into India ranks as the worst, and likely would cost the job of any CEO in charge. Now Baksaas no longer has Norvik at his side either.